A Sunday notes column tipping off with the in flux Timberwolves organization where owner Glen Taylor is searching for a new president of basketball operations. Two names who keep coming up as candidates have ties to the organization but there’s someone else who was recommended to Sports Headliners that should be on Taylor’s mind. Calvin Booth, the Denver Nuggets assistant general manager, worked in the Wolves’ organization before going to Denver where the franchise has progressed from missing the playoffs a year ago to now being the No. 2 seed in the NBA’s Western Conference playoffs. Chauncey Billups, the former Timberwolves guard and now an NBA TV commentator, is rumored to be interested in leading Taylor’s front office. A pro basketball insider, speaking anonymously, believes Billups, because of his outstanding playing career (former NBA Finals MVP) and TV exposure, has an image that would attract quality free agents to Minneapolis and improve the team’s roster. “In the NBA there are a lot of places they (free agents) can land,” he said. The Holy Grail to success for Taylor, though, might go through San Antonio. Last September the Spurs hired former NBA player and TV commentator Brent Barry as vice president of basketball operations. The Spurs are the gold standard of pro sports organizations with their 22 consecutive runs of qualifying for the NBA playoffs dating back to 1998, including five league championships. Whoever becomes the Wolves’ basketball boss will have to discuss with Taylor the future of interim coach Ryan Saunders. Looking in from the outside, the source said his impression is Saunders has a “stellar image” with players and they want to play for the 32-year-old coach. Big Ten Network football analyst Stanley Jackson liked what he saw yesterday from the Golden Gophers’ personnel during the telecast of Minnesota’s Spring Game. “Great opportunity to win the West (Division),” he told viewers in looking toward next fall. Spring games can be boring but yesterday there was emphasis on fun for players and spectators including when 6-9, 400-pound offensive tackle Daniel Faalele lined up in the backfield as a ball carrier and ran six yards for a touchdown in the intrasquad matchup. The Big Ten office reports Minnesota, Indiana and Michigan State have the most starters returning on offense with nine each. The Gophers’ returnees include senior all-conference wide receiver Tyler Johnson who decided not to pursue the NFL Draft as an underclassman. The Gophers return seven starters on defense. Minnesota’s Thursday, August 29 nonconference home opener with South Dakota State will be the first Big Ten football game next summer. Three other league teams have nonconference games the next night. The Gophers were one of nine Big Ten teams (14 total) to conclude spring football practices yesterday. Iowa on April 26 and Maryland on April 27 will be the last programs to end spring practices. In four home games this season, Minnesota Twins pitchers have walked just 11 batters. Minnesota is 3-1 at home after yesterday’s win over the Tigers. The first pitch temperature at Target Field yesterday was 37 degrees. That was the third time this season the starting temp was 45 degrees or lower for a Twins’ home game. Best wishes to media colleague Ed Rauen who is being inducted tomorrow (Monday) into the Rochester Quarterbacks Club Hall of Fame. Rauen has headed the club for decades and lined up speakers, while also being a well-known sports voice on KROC Radio in Rochester. The Capital Club will hear from speakers Cheryl Reeve of the Minnesota Lynx and Glen Mason from the Big Ten Network on April 24 and June 4 at Town & Country Club in St. Paul. The club has organized a tour of the Minnesota United’s new Allianz Field for May 8. More information about the Capital Club is available from Patrick Klinger, patrickklinger@klingercompany.com. Allianz Field, the soccer-specific outdoor stadium of the MLS Loons, hosted its first game yesterday in the team’s nationally televised tie with New York City FC. Allianz is the fourth stadium in Minneapolis-St. Paul to open since 2009, joining TCF Bank Stadium, Target Field and CHS Field in a lineup of facilities costing more than $2 billion. Several years ago Vikings owners were interested in owning a Minnesota MLS franchise and staging games in U.S. Bank Stadium. That would have provided a second major team using the covered stadium. The April 8 issue of Sports Illustrated reported that the $1.1 billion home of the Vikings was used for 39 events last year including concerts, NCAA baseball and basketball, and the X Games. Congratulations to St. Paul native and Cretin-Derham Hall alum Bill Robertson on his new multi-year contract to continue his leadership as men’s commissioner for the Western Collegiate Hockey Association. Robertson assumed his position as WCHA commissioner in 2014, and his strategic actions have bettered the league in numerous ways including the on-campus playoff model, and development of digital platforms and sponsorships. Robertson held various leadership positions in sports communications and marketing prior to joining the WCHA. 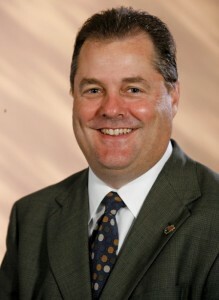 His work experiences included positions with the Timberwolves and Wild prior to accepting his position with the WCHA which headquarters in Bloomington. Collegehockeyinc.com reported last week a record number of players from NCAA programs played in the NHL this past season, with the University of Minnesota having the most alumni. There were 325 ex-NCAA players in the NHL in 2018-19, or one-third of all players. The Gophers had 22 alums in the league including Blake Wheeler who finished third in the NHL with 71 assists and matched his career high of 91 points playing for the Winnipeg Jets.